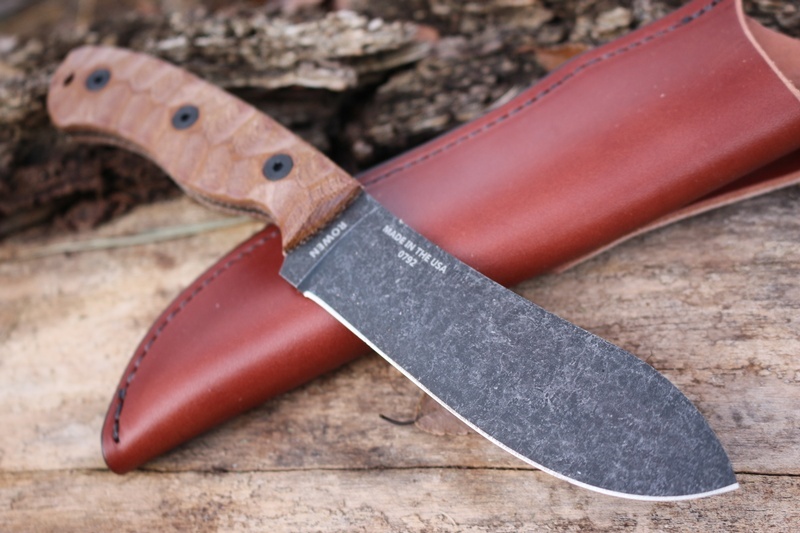 New from ESEE Knives USA, this is the James Gibson designed JG5. 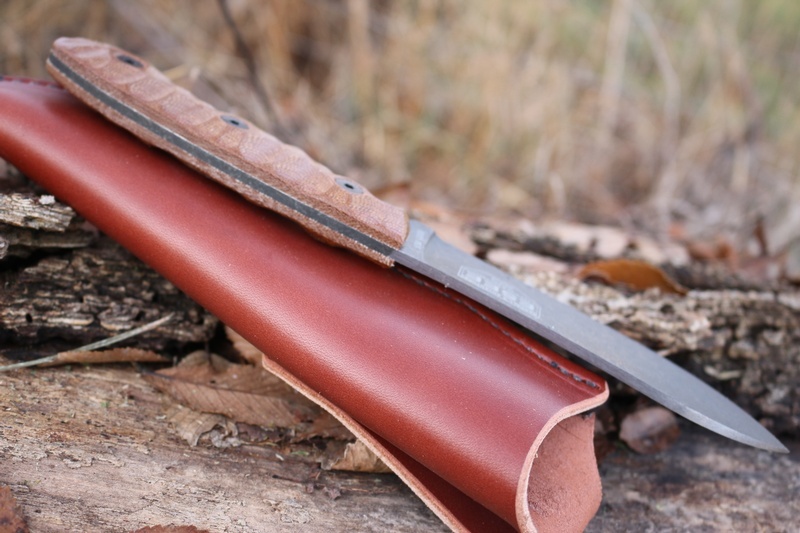 This new knife Combines ESEE's undoubted skill at making extremely tough knives, James Gibsons excellent and thoughtful design with the original and time tested Nessmuk knife. 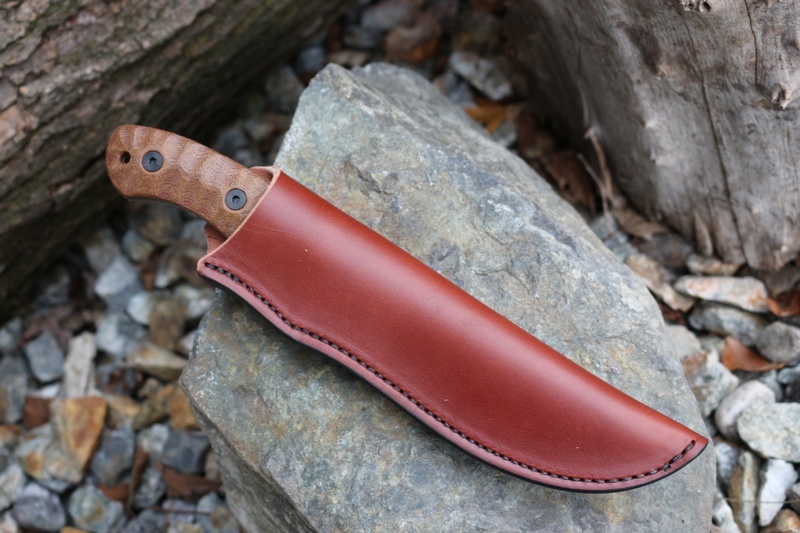 The result is a lightweight but very tough bushcraft and General Purpose Outdoor knife that works extremely well in any outdoor application. The .125in spine is tough enough but also offers very good slicing action and the upswept blade is great for field dressing, while the dropped tip great for fine work. The Solid contoured and 3D cut slabs give great grip and the knife is 3 pinned with full broad tang. 1095 Steel@58HRC with Black Oxide tumble coating. Purchase through PayPal by using the "Add To Cart" button above or use the form below to order the ESEE JG5 . 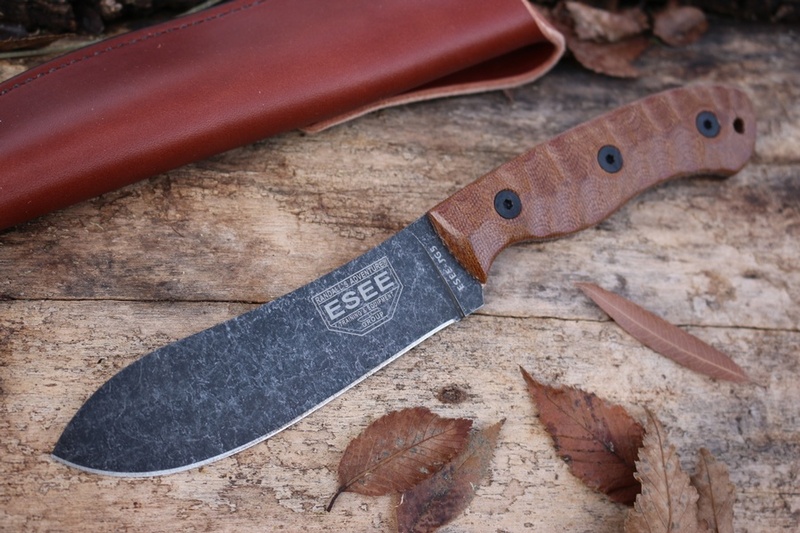 Feel free to contact us if you have any questions about the ESEE JG5 .